Hotel Yak and Yeti, is a premier five-star deluxe oasis in the heart of Kathmandu , It’s the 100-year-old palace and newly designed structure of the hotel located at Durbar Marg. A 120-room hotel with 5 star amenities started its operation in 01st September, 1977. After a successful run of 12 years, the need was felt to enhance the hotel’s size and facilities. Now extensions of 150 deluxe rooms and suites have been built, bringing the total number of rooms available in the hotel to 270 rooms. Hotel Yak & Yeti has a comprehensive Business Centre and is the first hotel in Kathmandu offering a much sought after exclusive Executive floor and Club Shangri-La. Facilities on this floor include 24-hour butler service, a private lounge for breakfast and cocktails, a boardroom, and in-room outlets for fax machines and computers, which can be rented. Hotel Yak & Yeti captures the old charm and style of Kathmandu , while providing the international quality standards of accommodation and dining facilities. Yak & Yeti is a perfect place to explore Nepal 's rich cultural heritage while finding solace in the luxurious comfort of this former Rana Palace. Yak & Yeti’s 270 rooms and suites have been carefully appointed to the highest degree of comfort and convenience. 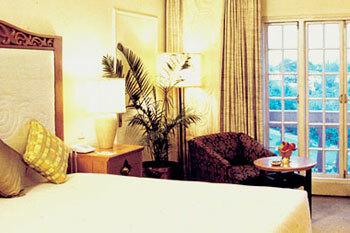 All rooms have en-suite bathrooms, International Direct Dial telephones, color television and a fully stocked mini bar. Guest travelling on official matters can make use of the business centre that offers two well appointed meeting rooms and a privately equipped office space. 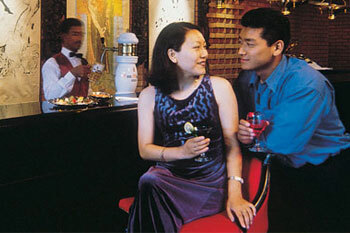 The hotel also provides excellent banquet facilities that cater to your private events. Leisure facilities include tennis courts, swimming pool, sauna, jacuzzi and a fitness centre, complete with state-of-the-art gymnasium and spa. Just across the comfortable lobby, the business center offers two well appointed meeting rooms and a privately equipped office space. Resourced with well-trained and efficient staff the business center provides full secretarial services and the latest in business equipment. Just across the lobby, is the Sunrise Café, a casual, light and accommodating restaurant overlooking expansive and beautifully landscaped gardens and pools. Open from 6.30 a.m to 11.00 p.m with a seating capacity of 120 guests, the Sunrise serves buffet as well as a-la-carte for breakfast, lunch and dinner. The Sunrise also hosts exciting events every week: Orient Express, a culinary journey through the far East, every Wednesday. Italian Treasure, an authentic Italian buffet every Monday brought to you by our expert chefs. At the time when the longest standing restaurant of its quality was created, the path to The Chimney was just a series of dirt lanes winding between stone houses in the jewel of the medieval Kathmandu Valley . In a fairytale land of not so long ago, the infamous Boris Lissanevitch established The Chimney. Boris' name alone conjures up legends of his unheeded extravagance and enigmatic adventures; famed Russian ballet dancer, entrepreneur, and entertainer of royalty, the tradition of the unprecedented Boris and his Chimney Restaurant continues to this day. By night, the handcrafted, open, copper-shafted fireplace blazes and the vaulted ceilings of The Chimney are illuminated with the shadows of myths as tall as Everest. Boris' original recipes live on as his famous Borstch is served as well as the Smoked Bekti, Chicken a la Kiev , and the flaming baked Alaska Sagarmatha. Traditional favorites are honored while an inspired international menu at The Chimney achieves distinction of its own. With a palette of fresh ingredients, is refined with masterful innovation. Savor Rack of Lamb with an Eggplant and Sesame Ragout and relish the piquant Tartare of Smoked Salmon with Wasabi, but be warned, new creations are always coming out to tempt you. Aside the lobby, Pub is the perfect place to meet friends and relax. Enjoy an international selection of beverages and exotic cocktails in the light garden front lounge. The Pub is open from 11:00 a.m. - 11:00 p.m.
Join the Pub for a cocktail and enjoy Yak & Yeti's Pub for an apéritif watching the moon glow on the Himalayas until the sidewalks roll up. The roll of the dice, the spin of the wheel, and the turn of the cards. Thrilling moments are guaranteed at the Casino Royale. Located in the ancient Lal Durbar Palace , with classical European elegance the two-storied Casino Royale is Kathmandu 's finest casino. Boasting imperial ambience and International game favorites like Roulette, Blackjack, Pontoon, Baccarat, Kitty, and a host of slot machines, the Casino Royale could very well be the most exciting place to be in Kathmandu . The Casino Royale is open 24 hours with a restaurant and children's area downstairs. Appropriate dress is observed throughout the casino and a good time is compulsory.